In 2003, Hurricane Isabella caused a 45 acre suburban dam to breach. Shortly thereafter, Williamsburg Environmental Group (WEG) was contracted to provide a design that would adequately repair the dam to current regulations and stay within the budgeted funds acquired by the homeowner’s group through the Small Business Administration. An initial design by WEG to install a concrete structure proved too costly. An alternate design was suggested to upgrade the dam by using overtopping protection. 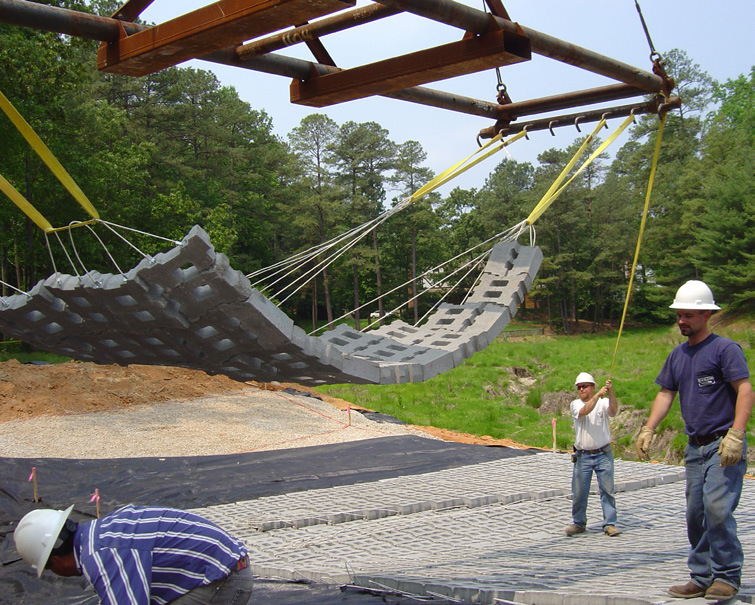 ArmorFlex articulating concrete block mats were chosen to handle the hydraulic conditions at the site yet still fall within the budgetary constraints. A-Jacks hard armor units were also utilized for dissipation and prevention of downstream scour. Both systems were installed in only two days after the contractor had prepared the site with a 4-in. drainage medium and site-specific filter fabric. 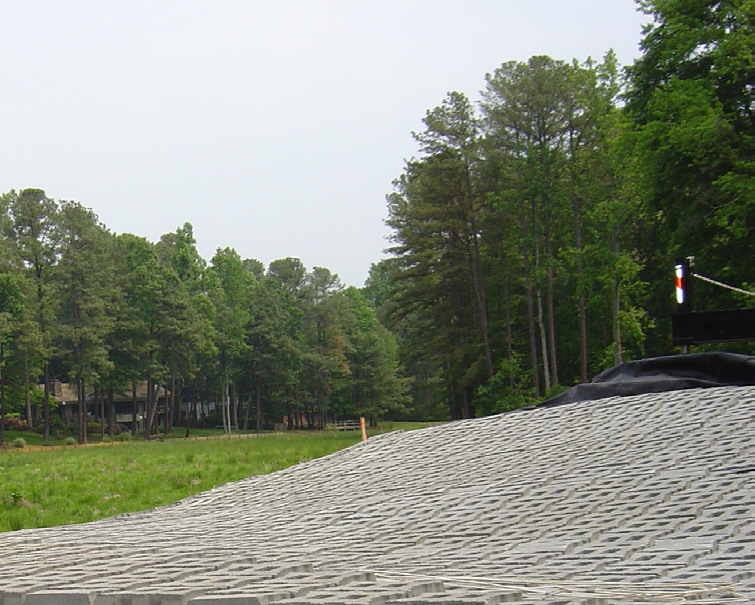 Since the completion of this project, the dam and spillway protection have performed as expected, providing both a reliable and cost effective solution for this application.